A Marine detachment from an amphibious task force has left its ships to deploy to Syria near Raqqa, defense officials told The Washington Post. While special-operations advisers have been on the ground in the country for some time, the move shifts more conventional personnel into the country and represents a new escalation of the US’s involvement there. Two officials, speaking anonymously, told The Post that the troops were part of the 11th Marine Expeditionary Unit out of San Diego. The units on the ground include elements of an artillery battery that can fire 155-millimeter shells from M777 Howitzers. Other infantrymen will provide security and other members of the expeditionary unit will deal with supplies. Other Marines have been redeployed from Djibouti to Syria for support, another defense official told The Post. That official said the deployment into Syria did not originate with President Donald Trump’s call for a new plan to deal with ISIS. Rather, it was some time coming. The estimated maximum range of the M777 howitzer is about 20 miles, meaning the artillery base must be about that distance from the operation it is supporting. 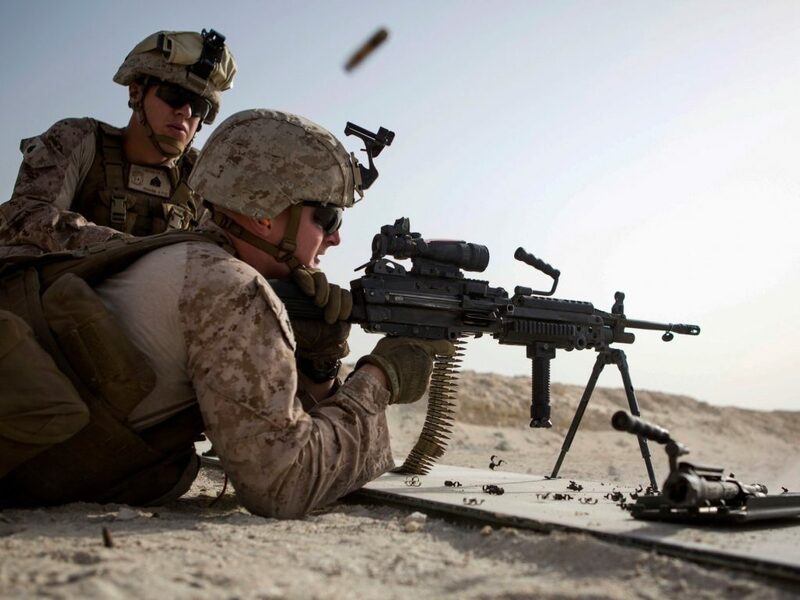 Some artillery rounds Marines have used in the past, however, can cover closer to 30 miles. The deployment comes days after a convoy of US troops crossed into Syria from Iraqi Kurdistan. The troops, comprised of US Army Rangers, were sent to Manbij in northern Syria purportedly to keep peace among the array of militias and other groups that have come together to combat ISIS. “It’s a visible reminder, for anybody who’s looking to start a fight, that the only fight that should be going on right now is with ISIS,” Pentagon spokesman and Navy Capt. Jeff Davis told the Associated Press.